UPDATE: this event has passed, but please hit 'Register' to be among the first to know about upcoming retreats, website and mailing list. Women writers! Do you feel like London daily life makes it hard to find the time, focus, and emotional and mental energies to write? Do you crave community and support from other writers, but find that most of the time you're working by (and sometimes against) yourself? Do you need an accountability buddy, or group, to help you stay on track and meet your goals? If the answer to any of these is yes, welcome to the first Writers' Club at Luminary Bakery (Hackney): a writing retreat of sorts, in the city. I'm a writer and editor (more info at the bottom of the page if you're curious), and I'll be writing alongside you and facilitating the session. Tired of other commitments always coming before my writing, and of working alone more than I want to, I have created the conditions for that to change. I can't wait for you to join me! Day-long sessions devoted to focused work, motivation and accountability. While the bulk of the day will centre on the PRECIOUS GIFT that is quiet work for a few hours, it will also be an opportunity to network and chill (no pun intended) with other creative folks. I will also be sharing resources, tools and prompts to take home and to help you get out of writer's block. - Writers at all stages of their careers who feel like they would benefit from this. This is an inclusive space, and anyone identifying as a woman, trans, and/or gender non-conforming is welcome. Applications are strongly encouraged from PoC writers, writers of all sexual orientations, those from working-class backgrounds and those with disabilities. - Please note that this is for writers working on literary projects, not for journalists. "Literary" can, of course, include creative nonfiction and hybrids – surprise me! - Please note that the purpose of the retreat is focused creative work – this is not the place for phone calls or life admin. You can do that easily at a café any time. - Priority will be given to writers who haven't had access to residencies or arts funding. Once you hit 'Register', you'll be asked a couple of quick questions to apply. 1 to 2:30pm - lunch break. You're welcome to go to next-door Yoga Home for a lunchtime class (schedule; single class £14; no I do not get commission :) Please note that they do not have showers. Luminary Bakery is a fantastic social enterprise, working to provide disadvantaged women in East London with professional training, employment opportunities and community. Through a safe environment, work experience and investment, they help women grow holistically and encourage ambition, restoration and second chances. Find out more about them here. The space where we will write is the cafe's back room. It's a small space! Please apply only if you are comfortable with sharing tables. 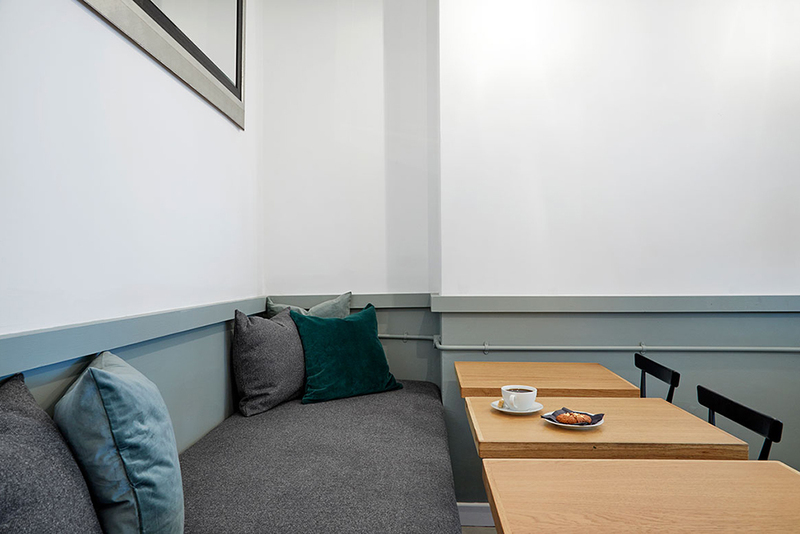 It's also a space that doesn't get a huge amount of light on sunny days – I find that conducive to writing, and like going outside for my breaks – but you might not and I don't want you to be disappointed. Here are two unphotogenic pictures of it: 1, 2. I promise it's lovely. You are also free to take a walk around the block, or a break in the back garden. For the same reason, bear in mind that there's no space for big spreads of papers, notebooks, books and laptops. Please choose carefully what to work on, and bring just that. Please let me know if you have any accessibility requirements. The cafe are kindly offering us a 20% friends-and-family discount. They have vegan and gluten free options. 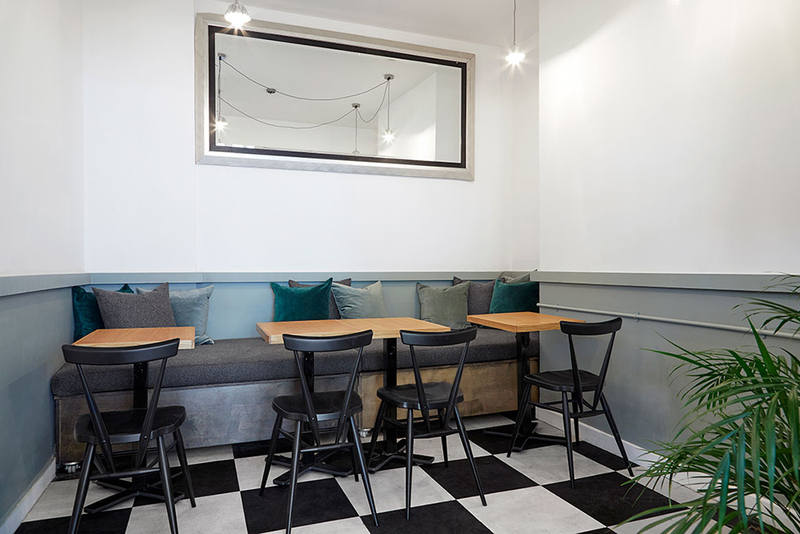 They do have lunch options but they are limited, so feel free to bring a packed lunch to eat in the park, or there are countless delicious spots on Kingsland Road. There's also a vegan coffee shop around the corner with good lunches. Feel free to let me know in advance about your dietary restrictions or to ask about the menu. There are bike parking spots nearby. The closest public transport links are Dalston Kingsland and Canonbury (both Overground stations) and numerous buses (21, 67, 76, 73, 141, 149, 236, 243, 341, 393, 476, 488). If you'd like to come by car, please get in touch and I'll find out about parking. Can I send money to the organiser to support her in this and other endeavours? Hell yes, please and thank you – Paypal me any time. We'll see! This is a first meeting, and due to space restrictions, it's for a small number of people. We'll be testing how the space and programme work – please bear with us! It will be fun.